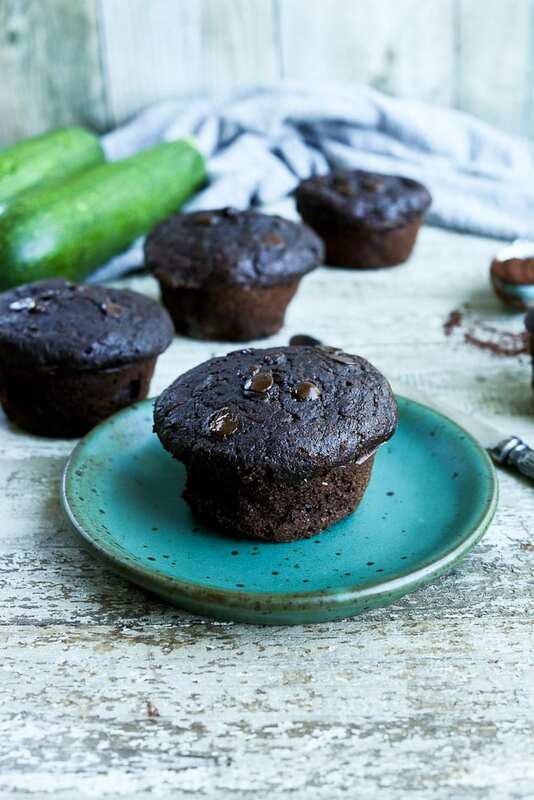 These Chocolate Zucchini Muffins are made with whole wheat flour and have less sugar than most muffins. Heads us! 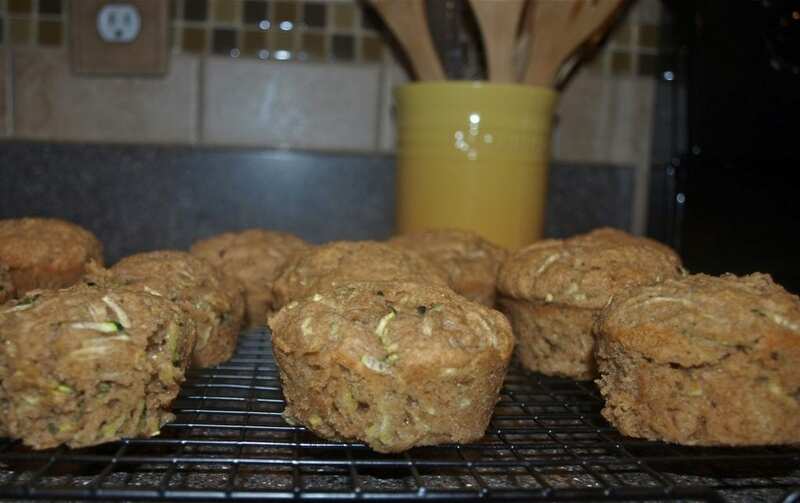 This Chocolate Zucchini Muffin recipe was first published in August 2013. Photos updated July 2018. Post text remained unchanged. 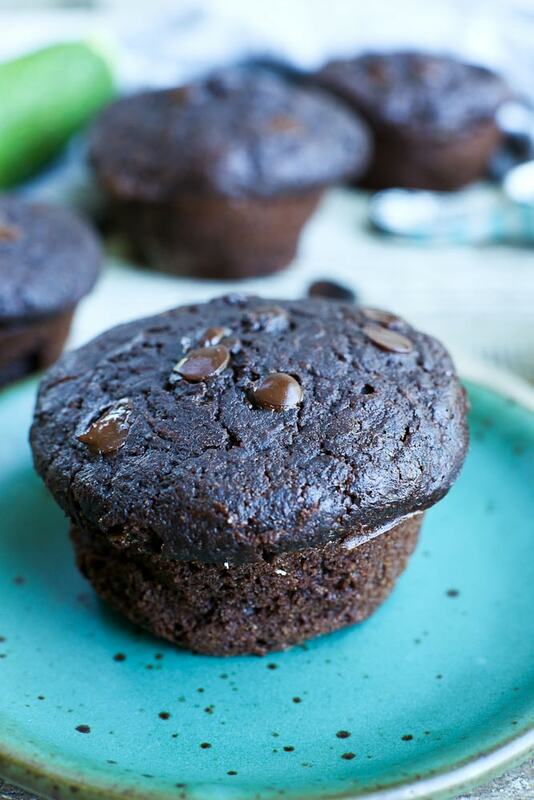 These healthy muffins have two things going for them: chocolate and vegetables. Anytime I can combine those two things and have them for breakfast, I think I’m doing pretty well. Zucchini, on the other hand, is probably her least favorite vegetable. She’s come a long, long way from Operation: Eat More Vegetables, but zucchini has stayed on her black list. Throw it in a muffin, though, especially a chocolate muffin, and all bets are off. Zucchini gets eaten. I made two batches of these and stocked up my freezer with muffins for the busy mornings ahead of us. 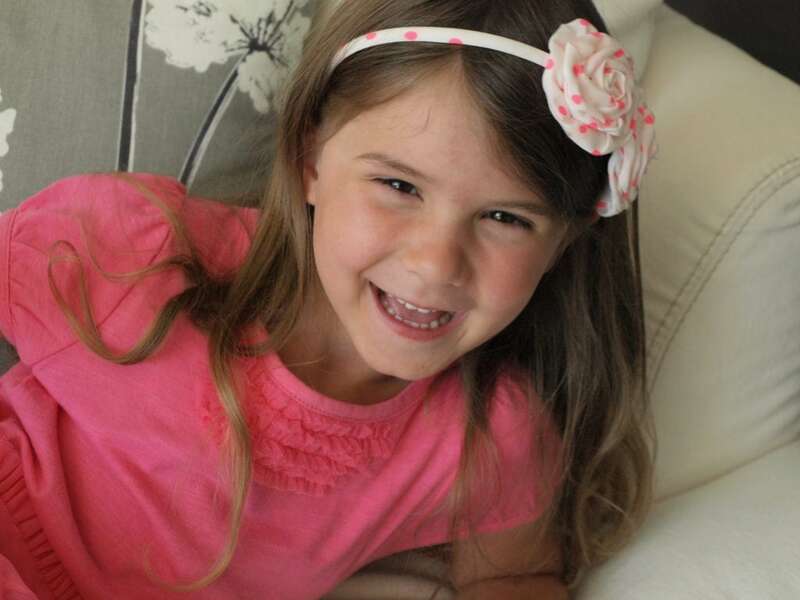 School starts for Meghan tomorrow (kindergarten!) and I feel like summer is abruptly ending, even though technically there are a few weeks left. I’m glad to know we’ll be eating these for a little while even after the summer produce has left us. Preheat the oven to 400 degrees. In a large bowl, whisk together the dry ingredients well. In a separate bowl, lightly beat the eggs. Add the rest of the wet ingredients and whisk well. Mix the wet ingredients with the dry ingredients and stir until they are almost, but not quite mixed. Add in the shredded zucchini and stir until everything is just combined. Don’t overmix! Spray a muffin tin with oil (if you are using paper liners, spray those). Fill each muffin cup almost all the way to the top, using a heaping 1/3 cup. Bake in the preheated oven for 16-18 minutes. Allow to cool about 10 minutes in the pan, and then transfer to a baking rack to cool completely. Enjoy! *If you don’t have or can’t find whole wheat pastry flour, try substituting 1/2 all-purpose flour and 1/2 regular or white whole wheat flour. Would you like more baking recipes with zucchini? 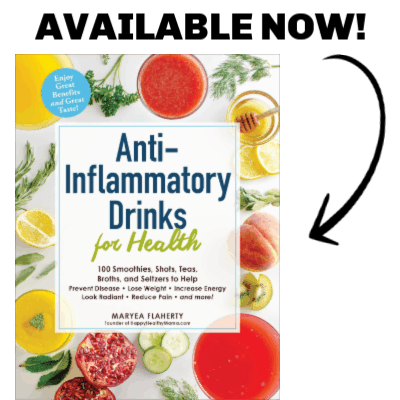 Here’s some healthy recipes to try! Chocolate and veggies all in one delicious breakfast package?? I’m in! I just bough 32 oz of grade B maple syrup from Trader Joe’s AND a new coconut oil…so I’m in business! They look so good. I wonder if they would work with a gluten free flour? I can’t have gluten or wheat. Maybe I will try. I”m not that experienced with GF flours, but I imagine a GF mix would work? Please let me know if you try it! I’ve made these with GF flour several times and it worked great! We love them! These look wonderful! I still have a lot of zucchini to use up, so I’ll have to try these! I love the idea of freezing them, too! Yes, freezing them is great. I love having quick breakfasts on hand! Yum, these look great. We are finally at the point where we need to start masking veggies to get Jack to eat them. I somehow thought my kid would magically love all things veggie, silly momma! Oh, I know exactly what you mean! I thought the same thing with Meghan, like we would somehow be immune the the inevitable picky stage if we just fed her healthy from the beginning. HA!! She looks soooo grown up! She isn’t even mine and I’m wondering where the time has went!!! WOW! And, Kindergarten! HOLY COW! …..Operation eat more vegetables seems like just yesterday! 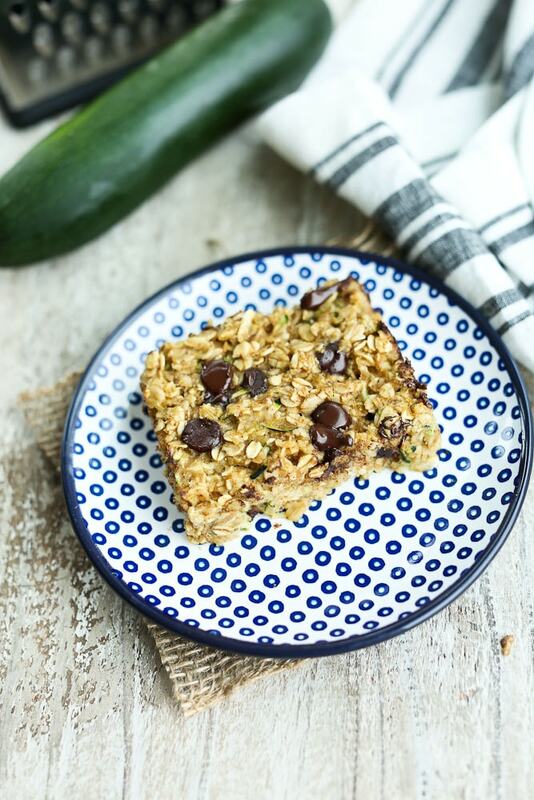 I love zucchini & chocolate, so obviously these will be a winner for me!!!!! Mmmmmm! Oh, I know. Isn’t it crazy!? Thanks for the yummy recipe! Kid approved here! I made one batch with half whole wheat flour and half regular white flour. The next batch I made gluten-free, with a mixture of rice flour and tapioca starch. The batter was much less formed, but they rose nicely in the oven, taste great and have a good texture. These will be great to pull out of the freezer for a snack on the run. Thanks again! Thanks so much for lettin gme know, Tonja! Anyone know if you can use half almond flour half tapioca starch in place of wheat flour? We have to eat no-grain in our house. 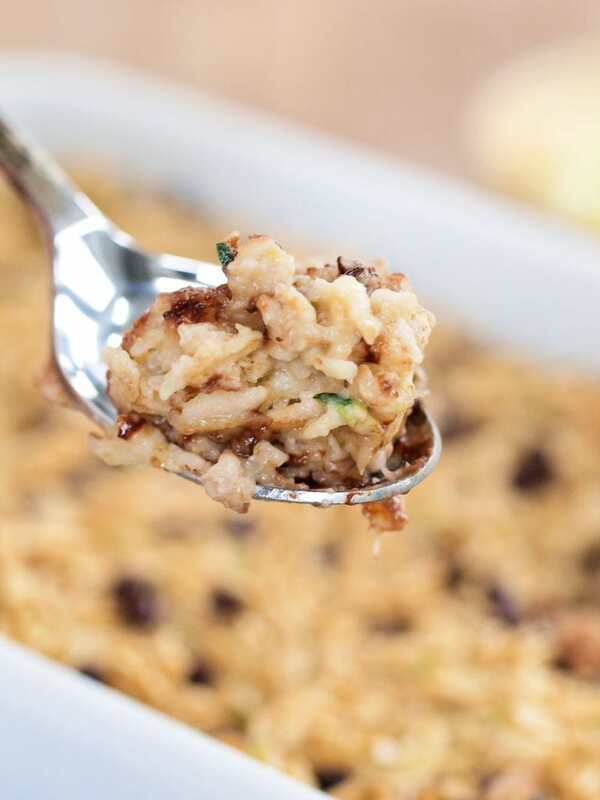 Another reader said she had success with 1/2 rice flour and 1/2 tapicoa starch, so I think using almond flour in place of the rice flour would work. BUT, I’m not that experienced with grain-free baking, so I’m only guessing! Please let me know if you try it! Thanks for the response, will let you know when I try it. I’m wondering if you’ve ever used spelt flour? I use (whole wheat) spelt flour to bake bread, but you can also use it to make cake or cookies. It tastes great and it’s healthier than wheat! I have used it, but not for a while. Thanks for the reminder! Perfect recipe, thank you! 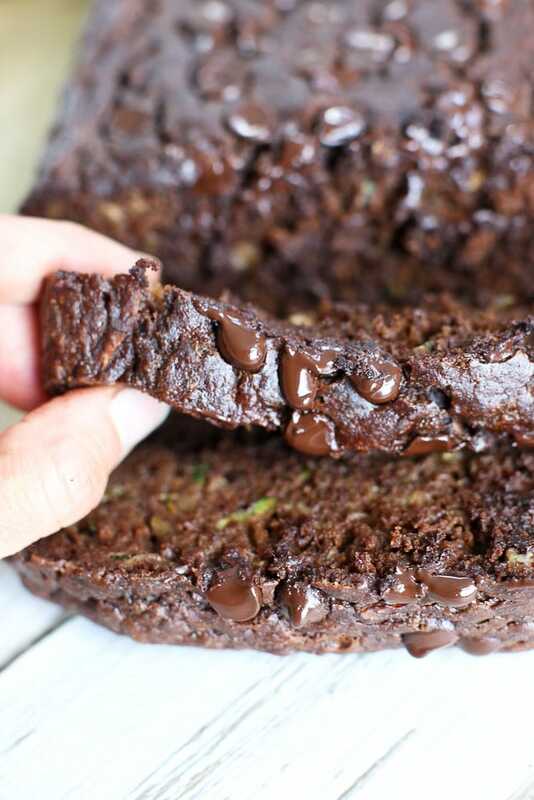 Moist, sweet, chocolate and zucchini! I didn’t want to bring cupcakes to my daughter’s class for her 5th since they PD’d on sweets for Valentine’s Day and multiple birthdays. This fit the bill and everyone loved! Thanks for another winner Maryea. These are delicious! Even my husband likes them and he is not a big chocolate fan. Do you happen to know the macros for these? Can not wait to try these tomorrow morning for breakfast. My 4 yo loves chocolate! he is always asking me to make chocolate chip muffins which I come to your site and look up all muffins. So these are on the list and now that we have Michigan blueberries, I will be making your vegan blueberry oat bars this weekend. Thank you! You’re welcome! Both my kiddos love chocolate,too!